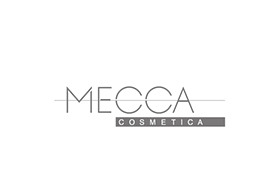 If any other brand described itself as ‘the most loved, most effective, best of the best in global beauty’ it would be an exaggeration, but not with Mecca Cosmetica. The brand prides itself on bringing to you the most exhaustive and unique collection of the very best as well as the most exclusive brands in cosmetics, skin care, colour, hair care, body care and fragrances. Add to this, the Mecca Cosmetica team of make-up artists and skin specialists and you have everything you need right here at its Chadstone store. The brand was recently featured in WWD as a leading international beauty destination alongside well-known brands like Harvey Nichols and Space NK. Walk into a Mecca Cosmetica store and you will instantly feel the difference thanks to the purpose-built environs, the helpful expert team of professionals and the seemingly limitless range of cosmetic, beauty, skincare, bodycare products that are on display here. Find the Mecca Cosmetica store on the ground level in Chadstone, easily accessible from the car park A & F.